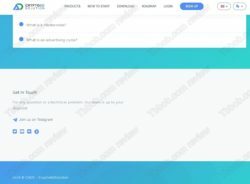 This review shows that CryptoAd Solution and its cryptocurrency CADS are a blatant scam that you have to avoid. 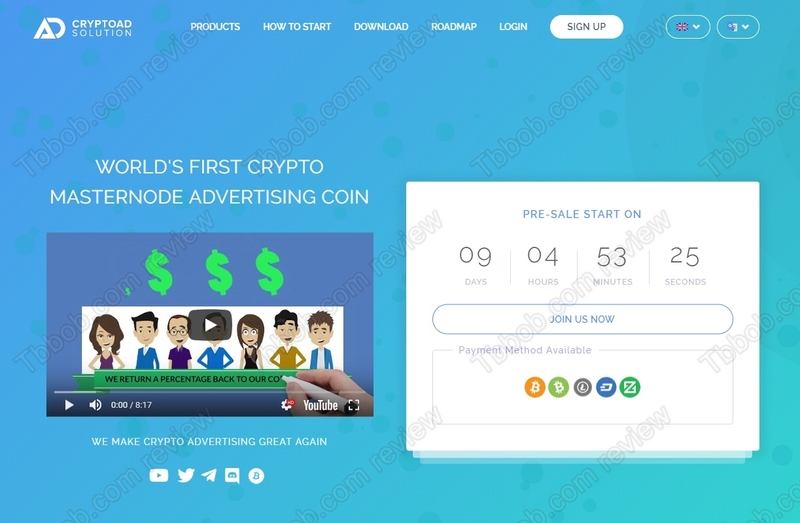 CryptoAdSolution is supposed to be a project that combines advertising with blockchain technologies. It will use its own CryptoAdSolution Coin called CADS. In order to participate in the system, you will have to buy CADS with other cryptocurrencies. This allegedly will allow you to make money in different ways. You can buy advertising packages or for example stake your CADS. Returns on investments are promised between 20 and 25% per cycle that can last for 60 – 90 days. This basically means 7 to 12% per month. There is also an affiliate program with commissions on three levels totaling 30% (12 + 12 + 6). What is the truth about Crypto Ad Solution? We went through all the materials available about CryptoAd Solution, especially the whitepaper, and it is absolutely clear that it is a clone of the Bitconnect scam. It is using the same tricks, except that instead of a trading bot the alleged product here is ads. First of all, the CryptoAdSolution scheme is about collecting money from the public and paying back profits. In other words, they promise that the ownership of CADS will make you money. This means that CADS is a security. So, you can expect regulators from all over the world to be soon after CryptoAdSolution for selling unregistered securities. CryptoAdSolution is totally anonymous, there is no contact information, just some names that are very probably fictitious. This means that the company behind this scheme is not regulated, it cannot offer its services in most countries in this world. 12% per month might not seem too much compared to the 45% promised by Bitconnect and its other clones, but you have to ask where would this money come from? CryptoAdSolution claims that from advertising. For this kind of activity 12% or even 7% per month is way to high. Because you have to consider that there is an affiliate program with 30% through 3 levels, also the company has to make some profits, so if they are supposed to give you 12%, they would need to make a total of more than 20% per month. A new and anonymous company can do that? Because we have seen many of these scams, we can tell you how CryptoAdSolution works, and more importantly, how it will collapse. It is basically a Ponzi scheme enhanced with a cryptocurrency to double scam you. In normal Ponzi scams you pay with your money and get paid back profits in real money. A Ponzi scheme is an illegal financial game where there is no real business activity going on, deposits are just redistributed through withdrawals. When it collapses because of the lack of new money coming in, at least you might have collected some profits and not lost everything. But CryptoAdSolution will force you to buy their CADS token and you will paid in CADS. You will have to buy it with a real cryptocurrency. And when the scam explodes, you will be left with the worthless CADS, meanwhile scammers will have all your money. And, just like Bitconnect did it, owners of the scam will dump their own CADS before letting the scheme collapse, so they will double their profits, meanwhile you will have nothing. Trust us, we have warned against Bitconnect months before it collapsed, CryptoAdSolution is the exact same scam, it is doomed to fail. Stay away from CryptoAdSolution, it is a scandalous scam that will collapse, it is just a matter of time. If you are interested in making money with cryptocurrencies, focus on real and proven cryptos in trading. You can try it on a free demo with a regulated broker. Forget about anonymous projects promising you a passive income, they all are scams. Do not invest it is a scam like many others, thanks for your great advice! DO NOT INVEST IN THIS YOU WILL LOOSE ALL YOUR MONEY!